Note – Application will be accepted ‘Online’ from 18-30 NOV 2018. This Form is for those aspirants who want to join Indian Coast Guard as an Assistant Commandant General Duty, Commercial Pilot License (SSA), General Duty (SSA) and Law for – 02/2019 Batch. A. General Duty (i) Candidates who have passed Bachelor’s degree from any recognised university with minimum 60% marks in aggregate (i.e, 1 st Semester to 8th Semester for BE/B.Tech Course or 1st year to last year for Bachelor Degree Candidates wherever applicable). (ii)Mathematics and Physics as subjects up to intermediate or class XII of 10+2+3 scheme of education or equivalent with 60% aggregate in mathematics and physics. (Candidates not in possession of Physics and Maths in 10+2(intermediate) or equivalent level are not eligible for General Duty (GD) and General Duty (Pilot). Male 01 Jul 1994 to 30 Jun 1998 (Both dates inclusive). B. General Duty (Pilot Male 01 Jul 1994 to 30 Jun 2000 (Both dates inclusive). C. Commerc ial Pilot Entry (CPL) Candidates holding current /valid Commercial Pilot Licence (CPL) issued/ validated by Director General Of Civil Aviation (DGCA). Minimum educational qualification – 12th pass(Physics and math) with 60% marks in aggregate Male and Female 01 Jul 1994 to 30 Jun 2000 (Both dates inclusive). D. Law A degree in Law with minimum 60% marks from a recognized university. (Three years degree in law after graduation or Five years after 10+2 examination). Male/ Female 01 Jul 1989 to 30 Jun 1998 (Both dates inclusive). · Short Service Appointment (SSA) – Short Service Appointment as Assistant Commandant is for a period of 08 years which may be extended to 10 years and further extendable up to 14 years. 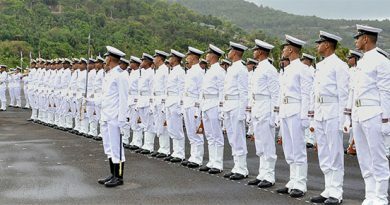 · Candidates applying for General Duty Entry Scheme (Male only) will be considered for Pilot Navigator on successful completion of basic training at INA Ezhimala. (i) The name of the candidate, father/mother’s name and date ofbirth should be same as mentioned in the X th class passing certificate. Any mismatch in name & date of birth in the application,is liable for rejection. (ii) Indicate exact percentage of XIIth and Graduation marks upto two decimals and this is not to be rounded off. (iv) Filling up of information like personal email ID and Mobile number of the candidate is compulsory. 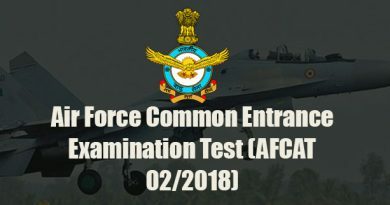 The date, time and venue of the test and other information will be informed through personal email ID/ CG Recruitment website. (i) Select the advertisement for Recruitment of Assistant Commandant02/2019 Batch. (aa) Asst. Commandant General Duty (Male). (ab) Asst. Commandant General Duty (SSA, Women). (ac) Asst. Commandant Commercial Pilot License(CPL) (SSA) both Male and Female. (ad) Asst. Commandant (Law)both Male and Female. (iii) Click on the ‘I Agree’ button and the ‘Online Application’ will be displayed. (vi) On successful submission of the online application a unique Application/Registration number will be provided to the candidate. Candidates must note down this application number for future reference and for retrieval/ reprint of e-admit card. Applicants are to take print out of the E-admit card through URL http://joinindiancoastguard.gov.in/reprint.aspx from 09 Dec 2018 onwards. For candidates not meeting the eligibility criteria, a ‘Rejection Slip’, giving the cause of rejection with the ‘Application Number’ will be displayed. Short-listing criteria will be based on higher percentage of marks. (vii) Candidates are required to bring 02 copies of system generated E-Admit card having allotted roll number with recent identical photograph with blue background (not older than 03 months) and to be carried at the recruitment centre. Candidates shall bring all original documents and keep one application form ready along with photo copies of all documents required i.e. class X th certificate and mark sheet showing date of birth, XIIth class certificate along with mark sheet showing subjects, Degree certificate showing percentage of marks, caste certificate wherever required and NCC ‘C’ Certificate/Games certificate duly attested. Any candidate who does not carry all these documents at the time of PSB and FSB shall not be permitted to appear in the exam. Candidate can apply for one branch only. Filling of multiple applications will result in cancellation of all applications. Date of opening online application will be – 18 Nov 2018 from 0001 Hrs. Date of closing online application will be – 30 Nov 2018 upto 1700 Hrs. Admit card through URL www.joinindiancoastguard.gov.in will be available for print from 09 Dec 2018 onwards. Candidates to reach the allotted centre at least 30 minutes prior to starting of Exam. (a) Coast Guard Regional Headquarters (West), Worli Sea Face, PO- Worli Colony, Mumbai – 400 030. (c) Coast Guard Regional Headquarters (North East), Synthesis Business Park, 6th floor, Shrachi Building, New Town, Rajarhat, Kolkata – 700 161. The Changes in address of recruitment centers, if any, will be promulgated through the Coast Guard Recruitment website. (aa) Candidates who have completed their Degree in 2017/2018 should be in possession of Original/Provisional Degree issued by the College/University. Candidates completed their Degree before 2017 must be in possession of Original Degree issued by the University, if not, the candidate must be in a possession of “Non issuance of Degree Certificate” issued / signed from the concerned University only (format available in www.joinindiancoastguard.gov.in). No candidates will be permitted to appear in PSB without above documents in Original. Final Selection – The candidates who qualify Preliminary Selection will be called for Final Selection. The date and venue for Final Selection Board (FSB) will be uploaded on Indian Coast Guard website www.joinindiancoastguard.gov.in. The Final Selection will consist of Psychological Test, Group Task and Interview (Personality test). All documents/ certificates verified during PSB are also required to be produced in originals during FSB. DISCLAIMER – Information published in various News Papers is for guidelines only. In case of any ambiguity regarding eligibility criteria, date and time of examination and other procedures, the contents given in the Coast Guard recruitment website www.joinindiancoastguard.gov.in and published in Employment News will be final. Important – Please read the instruction given in the website before submitting your application. This is an indicative advertisement only. 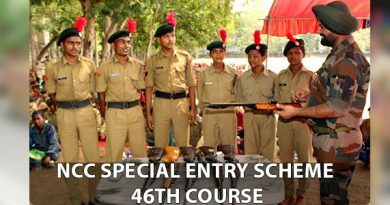 CAUTION: SELECTION IN COAST GUARD IS FAIR AND ON MERIT ONLY. CANDIDATE SHOULD NOT FALL PREY TO UNSCRUPULOUS PERSONS POSING AS RECRUITMENT AGENTS. FOR COMPLAINT AGAINST SUCH PERSONS, CANDIDATE MUST APPROACH THE DIRECTOR (RECRUITMENT) COAST GUARD HQ, SELECTION BOARD, NOIDA ON TELEPHONE – 0120-2414395.